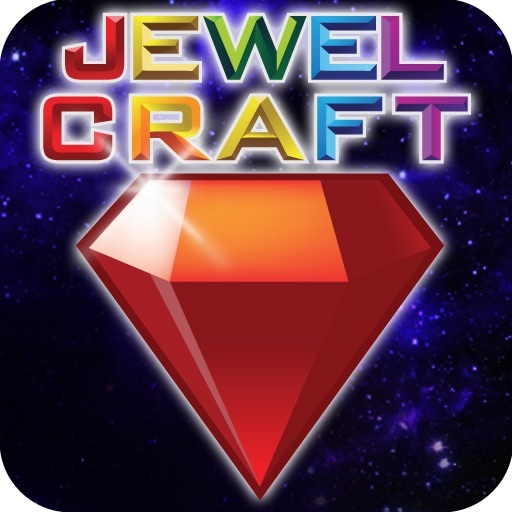 Jewel Craft by Blue Onion Soft, Inc.
"Over 1.1M of downloads for Jewel Craft , 1.1M people addicted to Jewel Craft can't be wrong!" 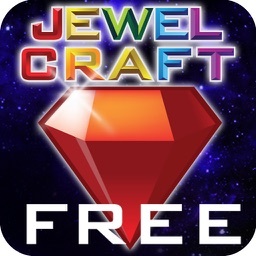 ★ Jewel Craft HD Lite on TOP FREE #1 puzzle in US, Canada, Australia, Japan, UK, France and 20+ more countries!!! Wow! Over thousand ★★★★★ reviews throughout the world!! ▶ awesome, simply awesome! -- whowantschips? Swap beautiful jewels and break them for new jewels! 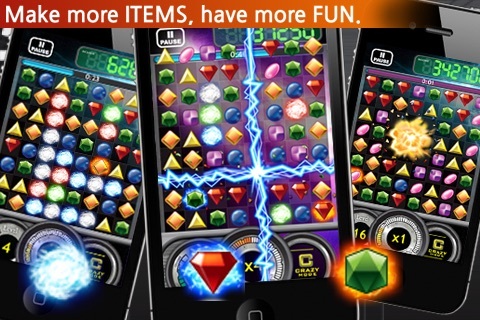 This amazing match-3 game is ready to give you tremendous experience of speed and tension. 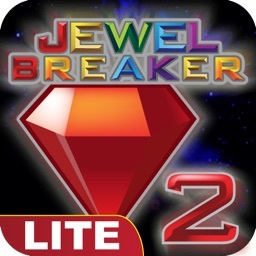 Take this spacecraft and challenge the highest score ever! JEWEL VS. JEWEL ⚡ NOW.. BATTLE MODE !! Finally, Battle Mode came out with new update 2.0. 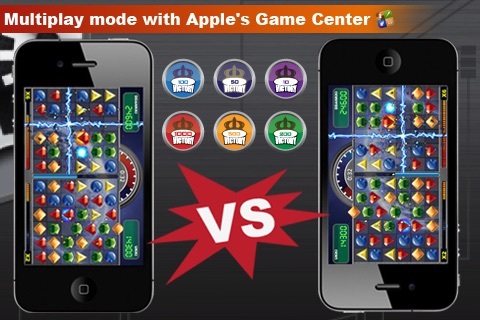 Now it's a battle with other players in Game Center. Win more, and get achievements and pride! 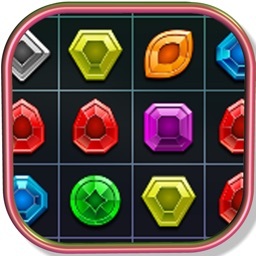 ☄ The ONLY puzzle with MULTIPLAYER (battle) MODE! ☄ Enjoy with all your buddies and Game Center friends! ☄ Thrilling match of TWO players in ONE screen. ☄ You can see the opponent's LIVE play and score. Speed up swapping jewels. Accelerometer is checking your speed. Don't stop to wait new jewels taking places. 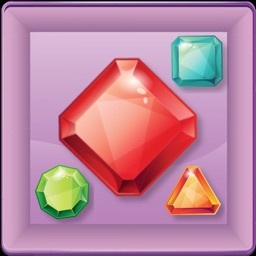 Switch ANY 2 adjacent jewels. Jewels will not be rolled back in any case, and you can make any items on purpose. Moreover, there's no reallocation between levels. ✔ Check YouTube Video: How crazy can you be? Break all the jewels on board. It's not so easy. You'll need an active brain. ✔ Need a tip for Puzzle 31 and 32? CAUTION! Video can be a spoiler to who want to solve it by oneself. Leader Board: Submit your High Score to Game Center, and check your Ranking!! Achievement: Play more and Earn Medals, Trophies and Crowns. Check how far from these in the Game Center! And try to get 6 HIDDEN achievements! 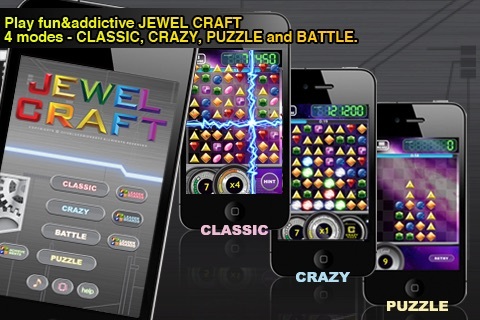 Awesome graphics and sounds for all iOS! 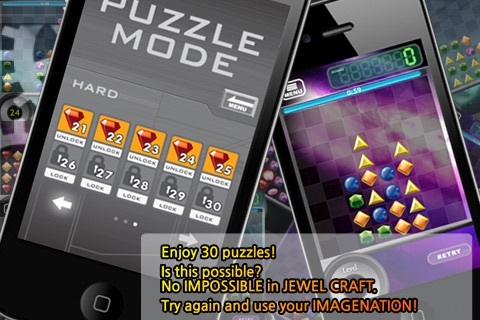 Today's AGF list includes a photo effects app, a handful of different puzzlers, and a classic arcade platformer with a neat new element. 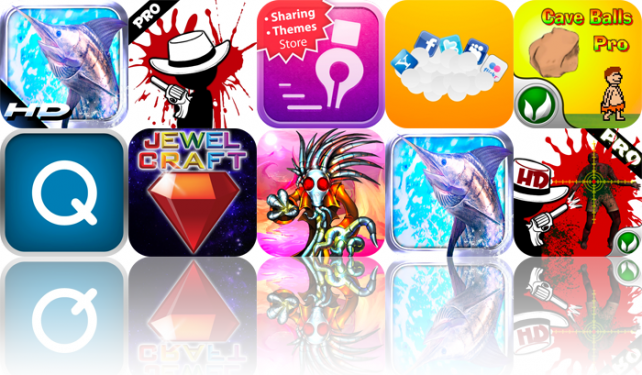 Today's AGF list includes a 3D fishing game for iPhone and iPad, a physics-based puzzle game that requires you to bounce bullets, a digital password protected diary, and much more.